Logistics is the study of the way in which military forces assemble, move and sustain themselves in both peacetime and wartime. While Military History is immensely popular with the general public, it has a low status within academia and is largely confined to specialist centres of study such as the SIR MICHAEL HOWARD CENTRE FOR THE HISTORY OF WAR, military academies and Staff Colleges. Within these institutions, the study of logistics is largely relegated to professional military logisticans, however ironically, the subject has close academic links as it draws upon the subjects of economics, transportation and civil society. At the start of the Russo-German War in 1941, the Soviet Union was a large but poor nation of limited means to support her armed forces of 11 million men. Key to her success in the war was the ability to direct these resources to the point of decision across a landscape lacking a modern transport system. The Prussian & German Armies had a long tradition of winning wars by fighting a decisive battle close to the frontier. 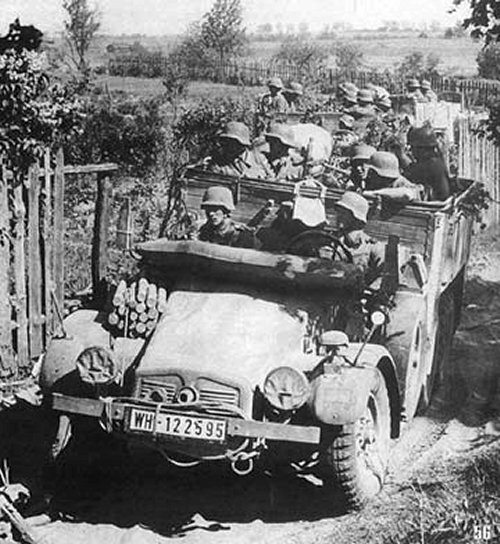 This trait minimised the need for extensive supply and transport units, however this lack of capability was a serious disadvantage once Germany had to fight long wars at a distance. Logistics is one of the more complex areas of military study as it is heavily influenced by a wide variety of external factors. By drawing on a wide variety of examples of logistics and studying extreme ones, it is possible to gain insight into the fundamental workings of supply and transport systems. Links between the Rear, NKPS and the wider Soviet economy. The area of study for the Soviet Union during the 1930s and 40s aims to understand the link between the Armed Forces of the Red Army and how these were supported by the wider Soviet economy as a 'nation in arms'. This centres on the theme of transport, how railways were used to both link the front line with the factories in the Urals and how the small Soviet fleet of 450,000 vehicles in 1944 supported an Armed Forces of 11,000,000 men compared to the British fleet of 1,250,000 vehicles which supported only 5,000,000 men. The Red Army made extensive use of over 1,000,000 horses during the war pulling small wagons in the large number of Soviet Rifle Divisions while modern imported trucks were reserved as gun tractors. Extensive use of Russian websites such as Pamyat Naroda allows research into logistics at Army level to gain a new insight into the close relationship between the front line units, the Centre and the collective farms just behind the front. Heavy losses in the early years lessened the impact of imported lorries. The campaign of 1813-14 during the Befreiungskrieg was the last time that the Prussian/German Army conducted a sustained long distance operation beyond its home borders, before the invasion of the Soviet Union in 1941. After the defeat of Napoleon, the Prussian military sought to create a doctrine that envisaged a rapid mobilisation on the borders, a lightning advance into enemy territory to out manoeuvre the opposing army, followed by an encirclement battle to destroy it and then a pursuit to the enemy capital to seal the victory. The logistical needs of such a strategy required a dense railway network to allow the armies and suppies to gather on the border deployment areas within a matter of weeks and then sufficient unit transport accompanying the army, to carry enough supplies for three weeks campaigning. Items such as biscuits and concentrated Pea soup - "Erbswurst" reduced the weight and requesitioning along the route of march helped eke out stores. 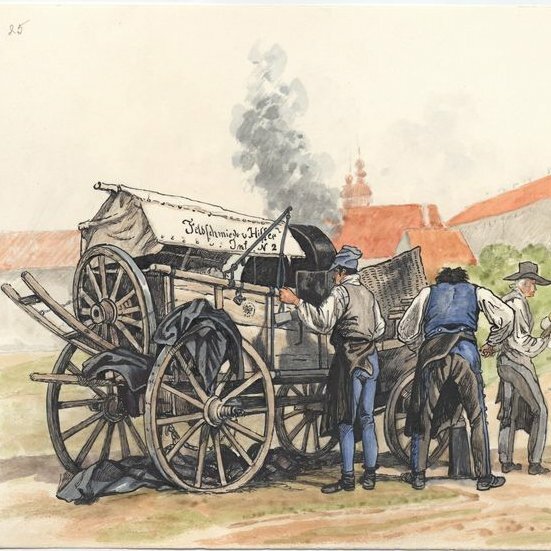 Although there was an attempt to follow Austrian practice and maintain a permanent waggon train to be used to form a Kriegs-Etappen or supply route, this was mainly concerned with maintaining the army after the main battle during the pursuit phase. In the same way the work of the Eisenbahnpioniere to restore the railways in the rear of the army was supposed to aid the army after the main battle. The key focus at all times was operational and short term logistical inconveniences were to be suffered in pursuit of the main aim of bringing the enmy army to battle. The system was used in this way in the campaign of 1860, however its weaknesses were exposed in the French campaign of 1870, when sustained French resistance after the main battle caused the Prussians considerable problems. The Prussian Army had to spend weeks foraging and farming before the Siege of Paris as the supply lines were not fully established and the railways were blocked by French fortresses. Although this did not alter the final outcome, it did demonstrate the limits of Prussian military capability and their lack of interest in logistics. One of the difficulties of studying logistics is that both transportation and supply are subject to a wide range of factors outside the normal military experience. This presents a problem to historians trying to build a model of supply for a particular military operation. For instance, there is currently no model of supply for horse drawn armies, as Van Creveld postulated in his 1975 book "On Supplying War" that these armies drew much of their supply from the local countryside through which they were marching. The main issue was that soldiers drew a ration of 3 lb and their horses drew a ration of 20 lb, with a typical army having a ratio of 1 horse per 4 soldiers, this resulted in the horses needing almost double the weight of rations as the soldiers. Van Creveld's argument was that half the horse ration comprised grass which could be collected locally. However John Lynn in his 1993 book "Feeding Mars" challenged this assumption using an article by Perjes which claimed that a horse would need 50 lb of grass a day which would exhaust local supplies too quickly. One method of exploring these issues, is to look at operations being conducted in extreme circumstances, as this reduced the number of contributing factors and can isolate particular components. For instance the Duke of Wellington's campaign in Portugal 1809-1811 was conducted over harsh terrain with poor roads that defeated the opposing French supply system. The British Army was forced to rely for transport on rivers, ox carts and pack mules which were slow and only allowed small loads at high transport cost. Nonetheless the Duke waged a successful campaign for a number of campaiging seasons. Similarly the campaigns of the American Civil War can be used to compared the composition of armies and different methods of horse transport. The Army of the Potomac was virtually immobile despite a large number of wagons and a horse to man ration of 1:4, yet the Armies in the West managed high mobility with even more wagons and a ratio of 1:2. Clearly numbers of horses were not the limiting factor.